40 Comfortable rooms from Standard to Four Poster and Suites, all en-suite with Free Wi-Fi and Flat screen TV’s. Bed & Breakfast Rates start from £79 for two people sharing a double or twin room. Dinner, Bed & Breakfast Rates start from £129 for two people sharing a double or twin room. Click "Book Now" to see the rates on your chosen date. 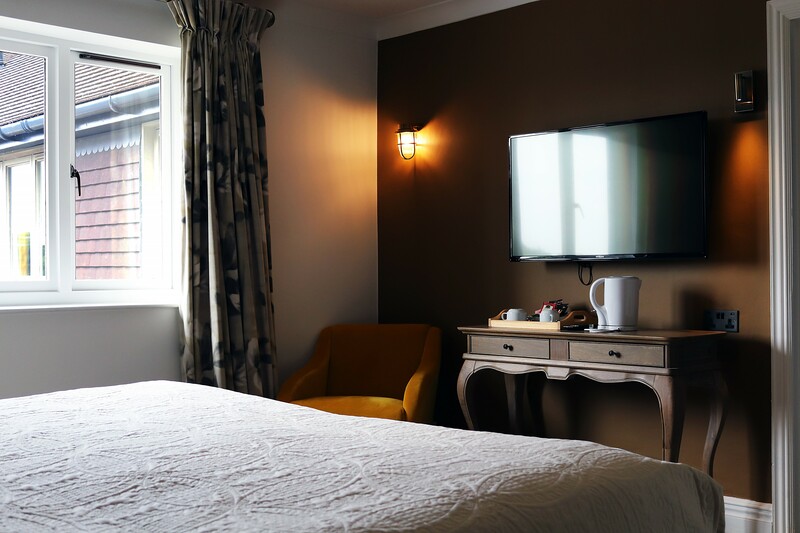 The Standard Single rooms are perfect for a lone traveller, small yet comfortable with en-suite bathrooms, free wifi and flat screen televisions. Most of these rooms have a shower over the bath, however two rooms have a walk-in shower instead of a bath. 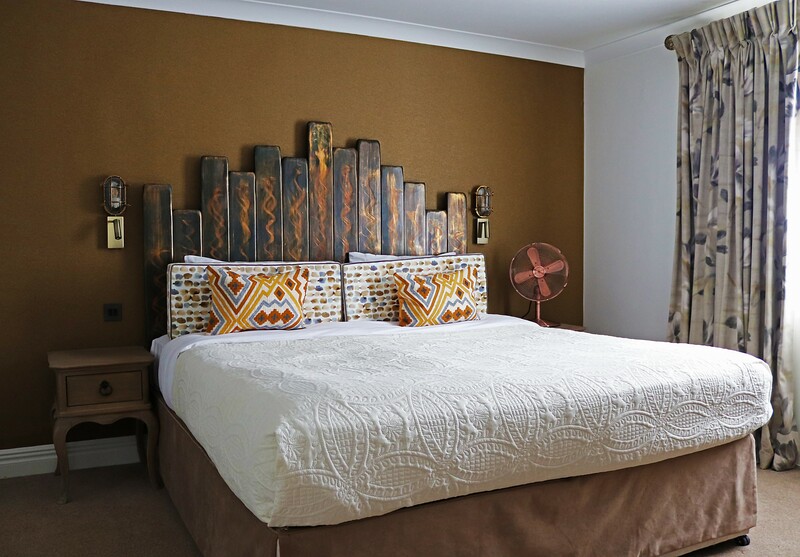 Our Standard Double and Standard Twin rooms are larger than the Standard Single rooms, allowing space for a double or twin bed for two people, plus space for a cot in the room if required. This room cannot accommodate an extra bed. These rooms mostly have a shower over the bath, however some rooms do have a walk-in shower instead. These large rooms are amongst the best in the hotel, with plenty of space for a truly relaxing break. All beds are Super-King sized or twin beds. The first wave of our refurbished rooms, with strikingly designed bedrooms, luxury furniture, and brand new bathrooms. A great way to take a first-look at what the hotel will be like once the full refurbishment is complete! The Four Poster rooms are wonderfully romantic, with four-poster beds, large and luxurious bathrooms, plus lovely views towards the outdoor heated pool. The Suite is a very special room, with a walk-in shower and separate Jacuzzi bath. This room has a separate lounge area.